After our successful summer service trip and the completion of the Benmao School in September, 2011, our 2010/11 project is about to come to a close. Follow its official launch on 3rd September, we are pleased to announce that the 2011/12 CHOICE project has now begun! Join us on an amazing volunteering experience! Angkor Kids Center (AKC), founded in 2002, is a private, non-profit, non-political, non-religious educational structure established to help educate children in Samrong Village, Lieng Dai Commune, Angkor Thom District, Siem Rep Province, Cambodia. The center based in Eastern part of Samrong village, 40km away from the provincial center with a population of approximately 2,600 people. AKC’s mission is to aid rural communities in improving their own standards of living, with a focus on increasing access to quality education. Informal education takes initiatives; AKC is supporting education for over 550 families in one village, primarily. They believe that education is the key to sustainable change, and are committed to a holistic developmental approach which empowers children, parents, teachers, and communities to make the positive changes they want to see in their lives. Specifically, English language is a potential key to suit the modern national educational system. The project coordinator of and one of the teachers at AKC, Mr. Samnang, is a passionate young man whose dream is to build AKC successfully. Together with the others teachers, many of whom are still studying at school themselves, they currently all teach voluntarily and try their best to sustain the school, sometimes even contributing their own resources. AKC is hardly a school at the moment: it is a shabby shelter, with a ceiling of hay supported by wooden poles. Due to ever increasing demands for English learning, the Centre was forced to run two classes in parallel, and while the existing infrastructure could barely fit one class, children from the beginners’ class had to learn on the floor, in a covered area outside a house. During the rainy seasons, classes have to be suspended as water floods the shelter. Furthermore, many classes take place at night, and in the dark it is almost impossible to read. Having witnessed the situation during our trip to Siem Reap in January, 2012, the committee strives to raise 8000USD this year to help alleviate the situation, by funding the construction of a more stable wooden building with three classrooms, proper desks and chairs and sufficient lighting. You will be brainstorming ideas to create an inspiring and creative learning environment, and ensuring that our impact could be sustainable. This includes painting the walls, drawing on the surfaces of tables and chairs, and arranging educational posters and other materials around the classrooms. Love languages? Music? Science? This is the perfect chance for you to share your passion to the local children. You will be completely in charge of coming up with ideas and testing them, making sure that they are safe and fun. We feel that it is important to visit culturally significant sites such as the Angkor Wat in order to understand the nation’s past and how it has influenced modern Cambodia. Of course, we will also engage ourselves in the local culture by visiting locations such as the local night market. 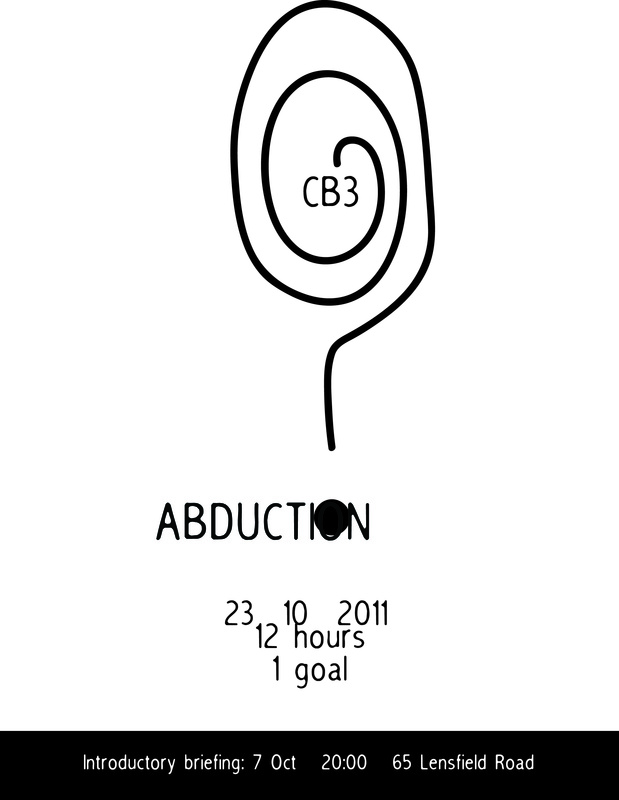 We have a whole bright, exciting year ahead of us, and we are kicking off the year with our first fundraiser- Abduction. On 23rd September, our participants will be brought to a place, unfamiliar, unknown. They have to use their own power to get back to Cambridge within 12 hours- no money, no help. All they have is their courage, and hopefully many will help them on their way back. You can also show your support by donating to your friends, who will be participating in this meaningful event.